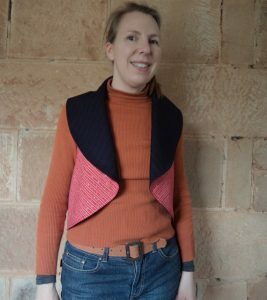 Shape Shape’s Reversible circle vest left me disappointed last week, but even though I was still undecided whether it’s “me” or not, I just had to have another go at it. 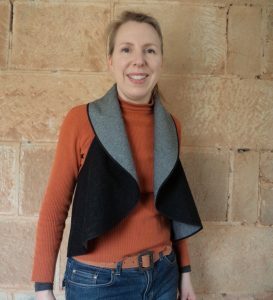 I really do like the concept of this pattern -a reversible collared vest made from a circle. So simple to sew and wear. I made some significant changes to the pattern. I shouldn’t have had to do this, but there’s no way the vest in the book could have been made from the pattern supplied, even allowing for me not being a petite slim Japanese girl. 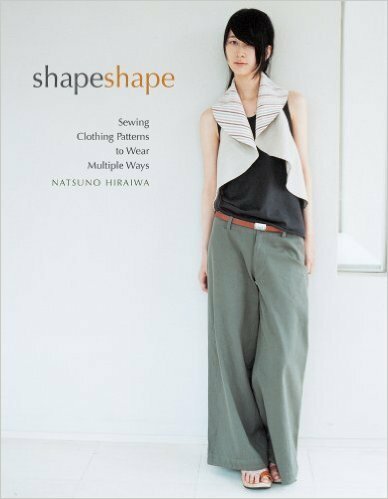 Here’s the Reversible circle vest on the front cover of Shape Shape by Natsuno Hiraiwa (2007 Interweave). Here’s the vest I made last week using the pattern from the book. Note the wider lapels and the lack of flare in the body. 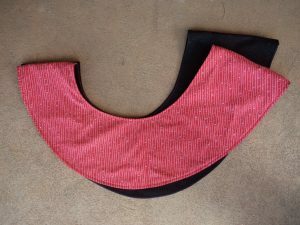 Here’s the comparison: the first vest (red) and the second vest (black). 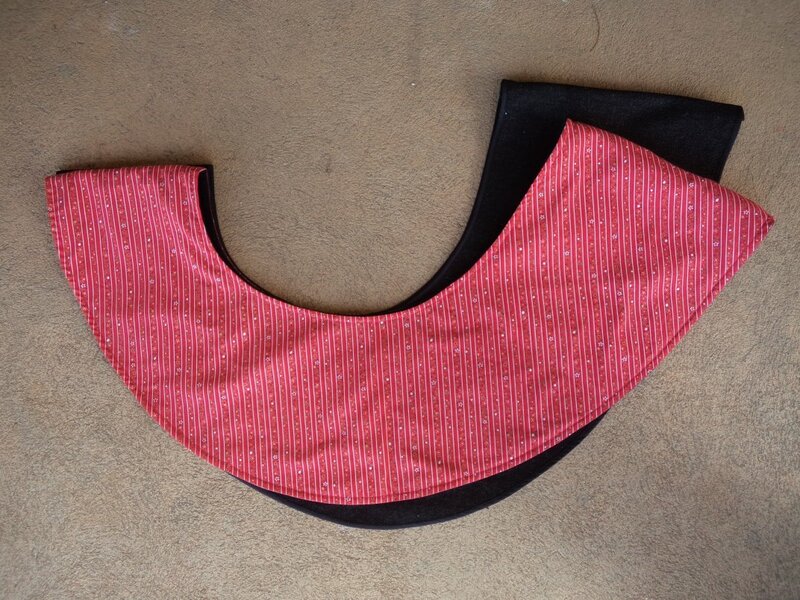 I made the collar narrower (you can’t see that bit), the body longer/wider and made the body more flared. 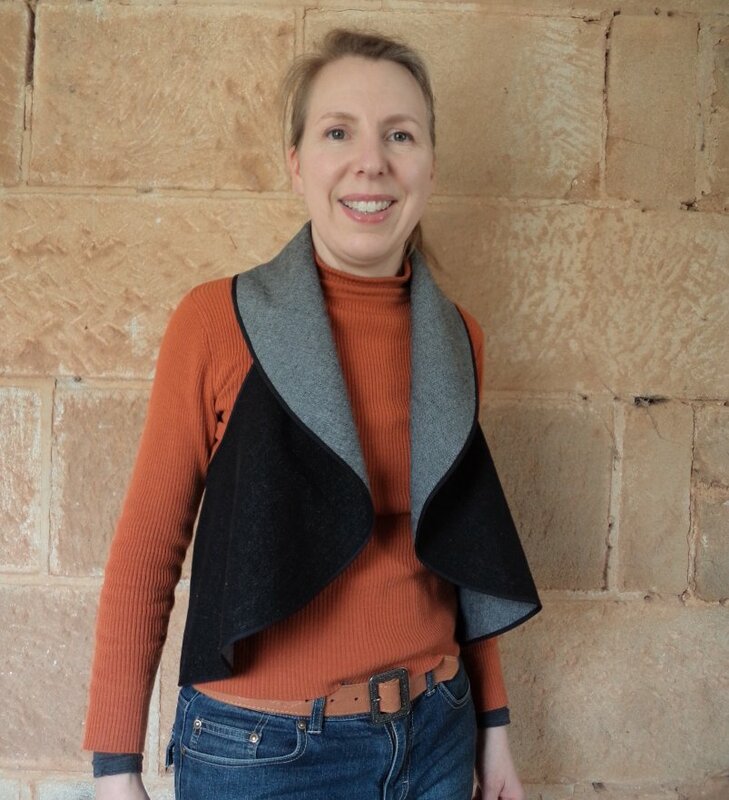 I cut out my new vest in one layer of black denim (the original is double-layered reversible). I bound the edges with bias binding. I sort of had vague plans to leave the outer edge raw or with some sort of deconstructed edging, but didn’t in the end. 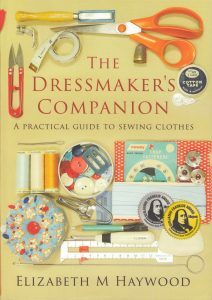 Haven’t yet decided what to do with the back, so at the moment it’s pinned, but I do have an overlap for button and buttonholes like the book’s pattern. 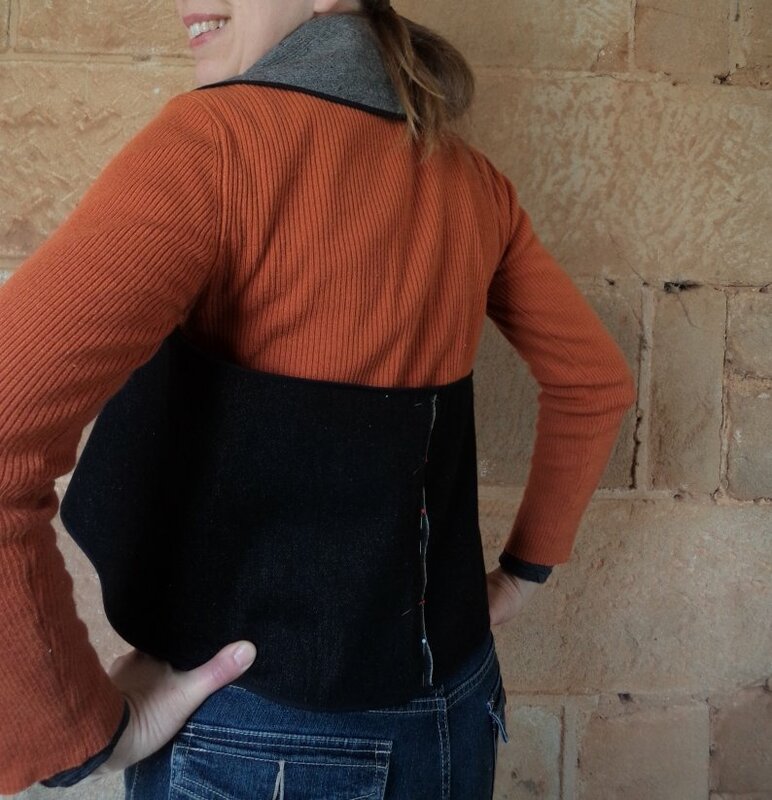 I cut the back edges on the selvedges after reading about using selvedges creatively. 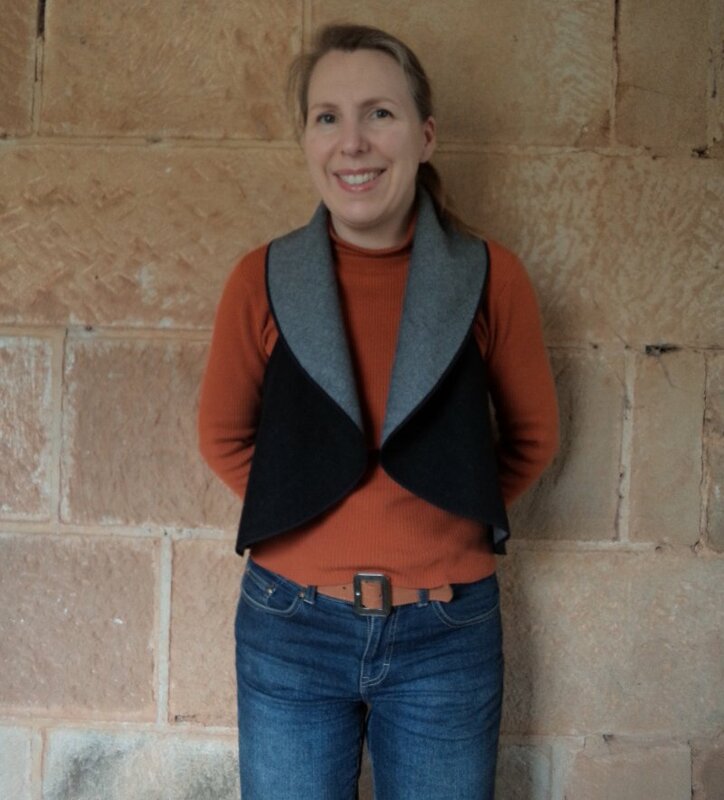 And so I can now say I’m very happy with my Reversible circle vest, and look forward to making the finishing touches and wearing it very soon. Looks so much better than the last one!